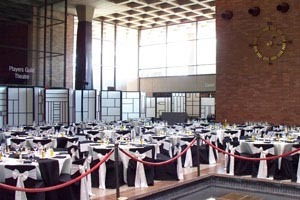 The Cultural Center is available for rental year ‘round, accommodating trade shows, wedding receptions, private parties, concerts, dinners, and other special events. The Cultural Center rental office is located in the ticket booth inside The Cultural Center for the Arts, 1001 Market Avenue North. Stop by for a tour; Open daily from 9:00 a.m. – 4:00 p.m.
For more information, call Anne Ashby at 330-452-4096. 30 round tables and 300 chairs are included in hourly costs. Additional chairs can be obtained for rental. 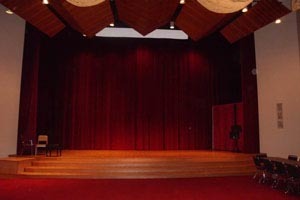 Staging/ risers are included in the rental rates.